I have been away for a long time now. My last post was back in July and back then my fish count was at about 200.... Since then I have caught a LOT of fish, which would probably put me at over 300 for the year. And perhaps one of these days I will count them... but not today. I'm finished counting fish now. That in no way means I'm finished fishing though! In fact, it''s like Doc Holiday said in Tombstone, "I'm in my prime!" 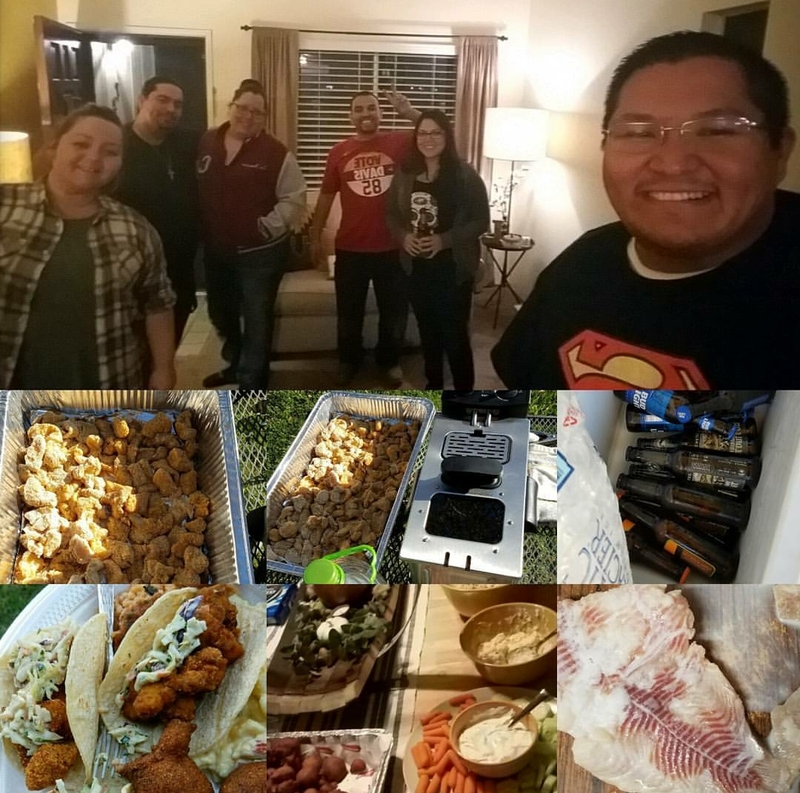 Instead of trying to catch up with my posts, I figured I would post some of the highlights of the past few months. 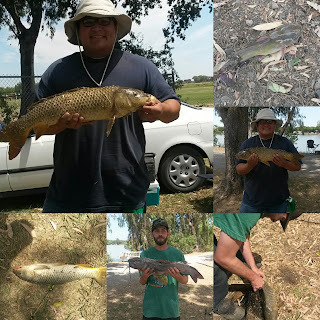 Back in late July I got together with Russell and we went cat/ carp fishing. he happened to get into a great looking cat and I got into some very hefty carp! ended up having a blast with the buddy russ! 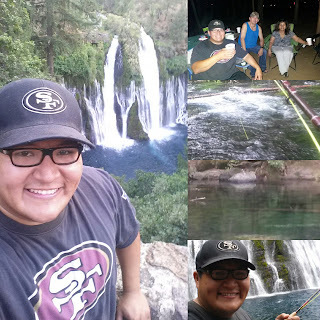 Back in August my family and I went Camping up at Burney Falls. The Falls themselves were breath-taking and that is an understatement! It it the type of thing you have to experience yourself. It was a 2.5 hour trip but it was WELL worth it. I of course went fishing with ol pops. 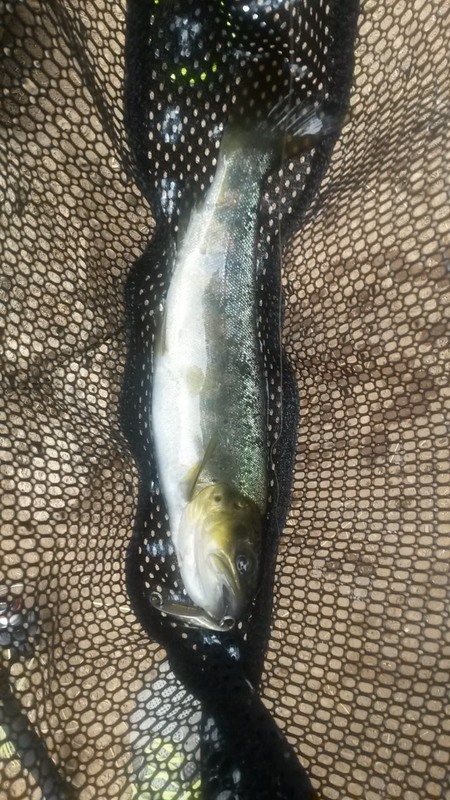 Didn't get anything on the fly but did end up getting what I believe is my first brook trout on a kastmaster! It finally happened! After a few years chasing the king, I caught her when I least expected! I will dedicate an entire post with full size pictures to this but just thought I would post the update and the teaser pic below! 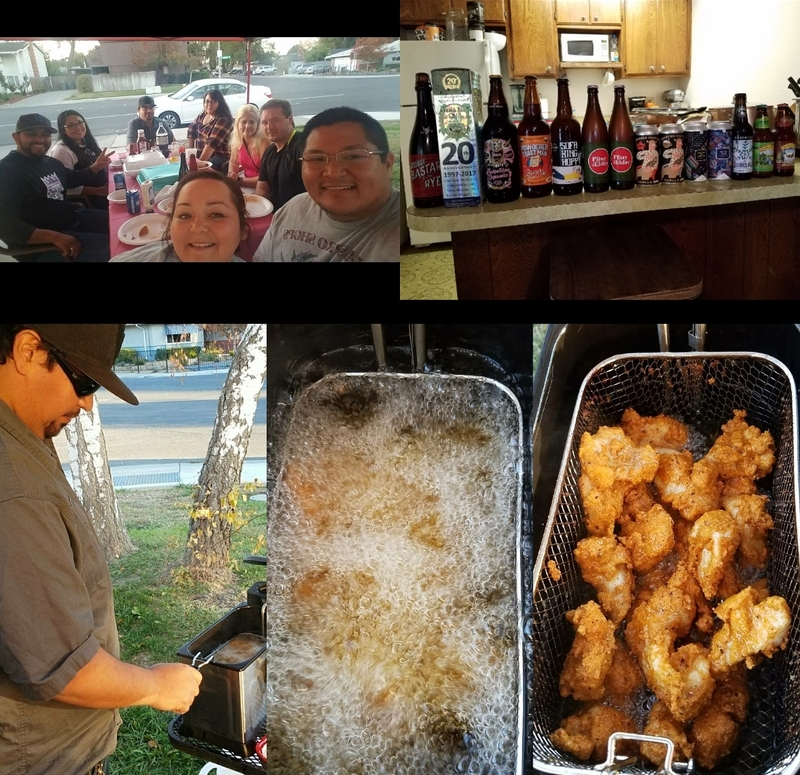 The First Annual End of the summer fish fry! 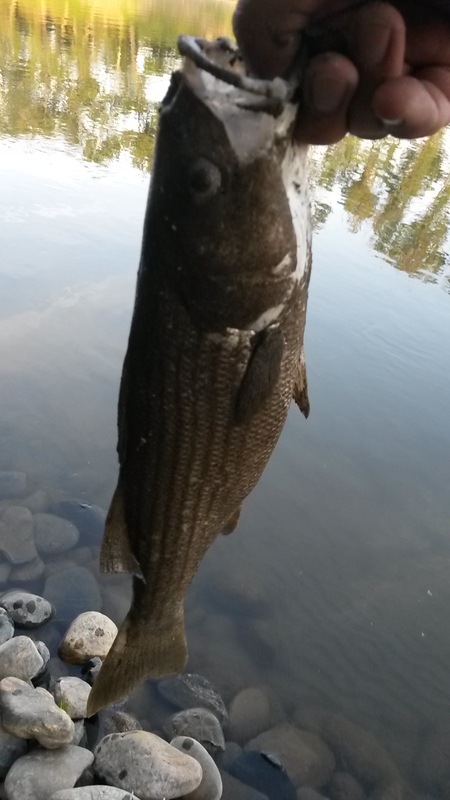 Last year I began collecting fish for an end of summer fish fry but most of it ended up getting frost bite. This year I collected some catfish, bass and crappie and at the end of the summer I threw a fish fry. I invited some of my best friends over, busted out some delicious craft beer including my last case of Sierra Nevadas summerfest of the season, and had a great time. I was worried that I wouldn't have enough fish for the fry and the only thing that took away that worry was catching the Salmon a few days before. And wouldn't you know it, we not only had enough, but waay too much fish! Everyone ate until they were full and still took fried fish and grilled salmon home! 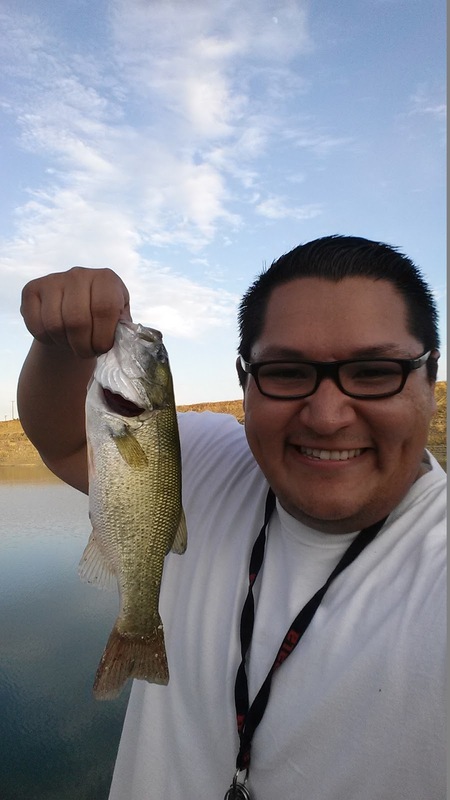 Nothing quite like spending a summer fishing hard and bringing it home to feed the tribe! 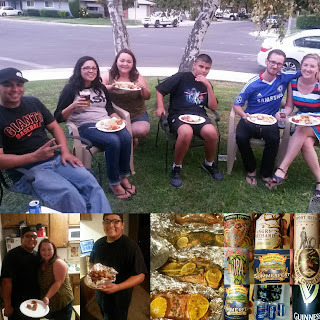 Looking forward to The 2nd Annual End of Summer Fish Fry which promises to be bigger and better! 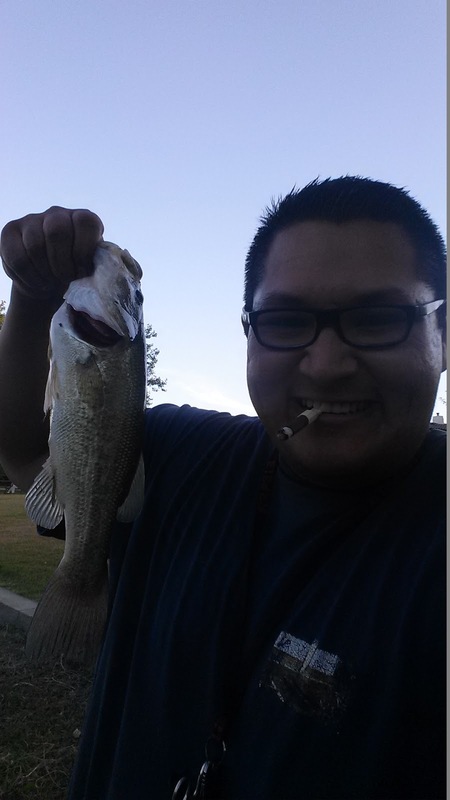 Aside from those events I continued to fish! 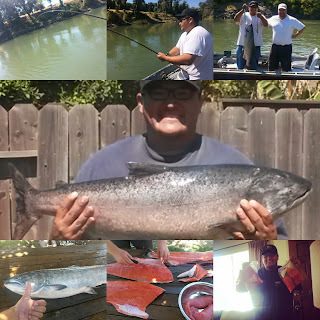 I have been practicing a lot on the fly rod and the bait caster as well. Most of my trips I only take those two rods. Its finally beginning to feel like fall down in the valley and the fishing is about to peak before it slows down and head to the hills for some trout action. Get ready Mark, I'm coming soon! Well that's it for me now. Hope all of you are doing well and it is good to be back. 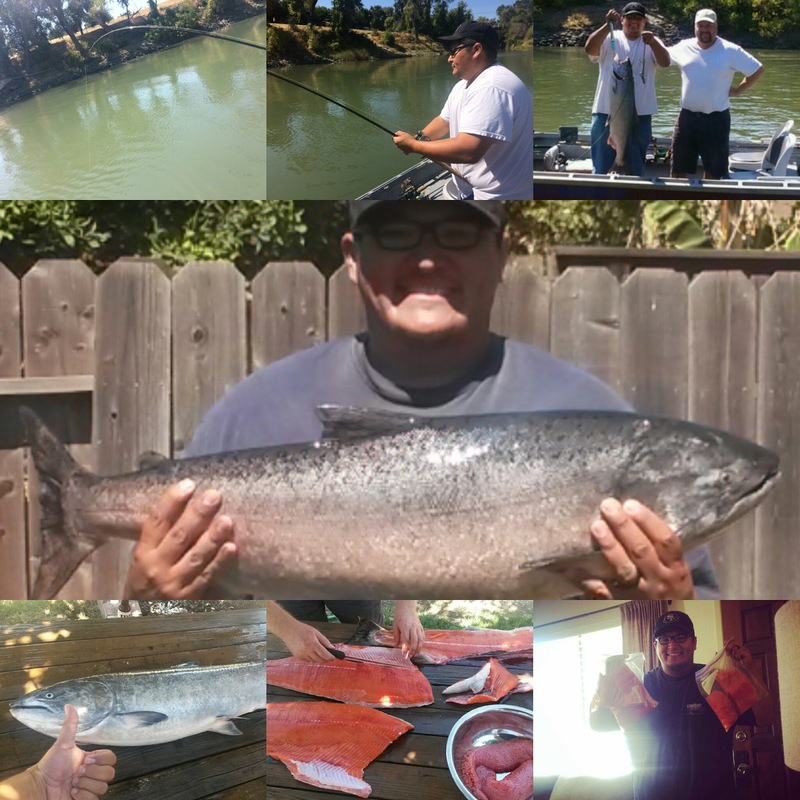 This weekend was a great one as are all weekends in which all three days are fishing days. 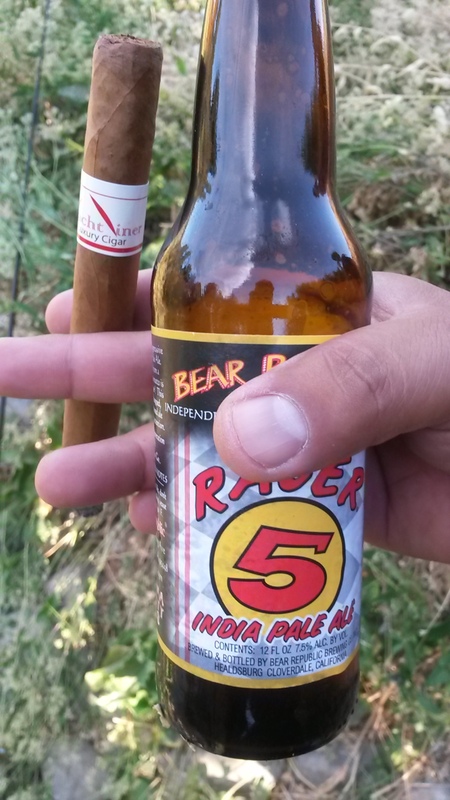 Friday We took some beers and stogies out to the pits to see how they were hitting. Unfortunately they are still slow. 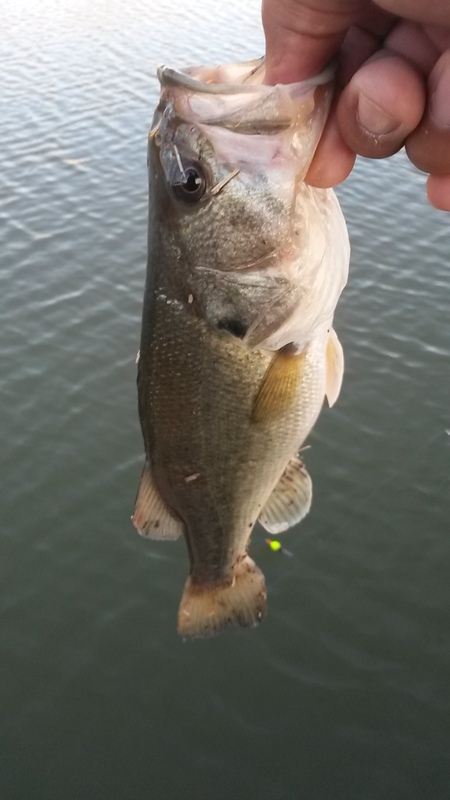 I did manage a decent bass on a small crankbait and also another small bass and a panfish. 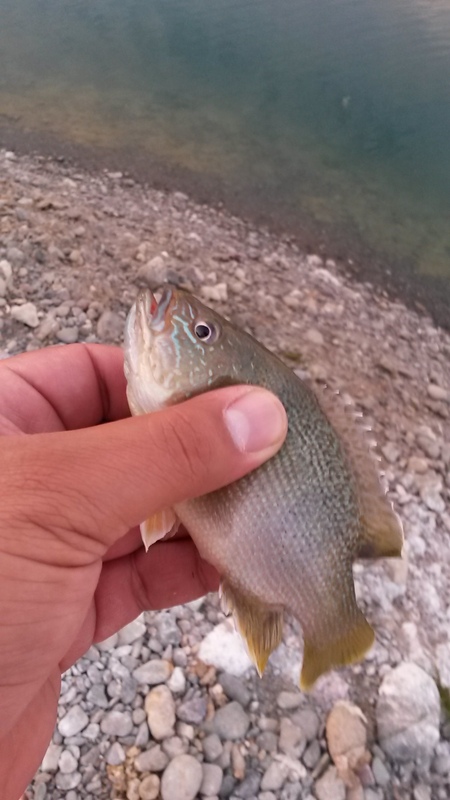 The panfish was interesting because it was the first panfish I have ever caught out there. In all still a great day. The pits aren’t hitting the same way they did in the past but it is slowly but surely getting better out there. 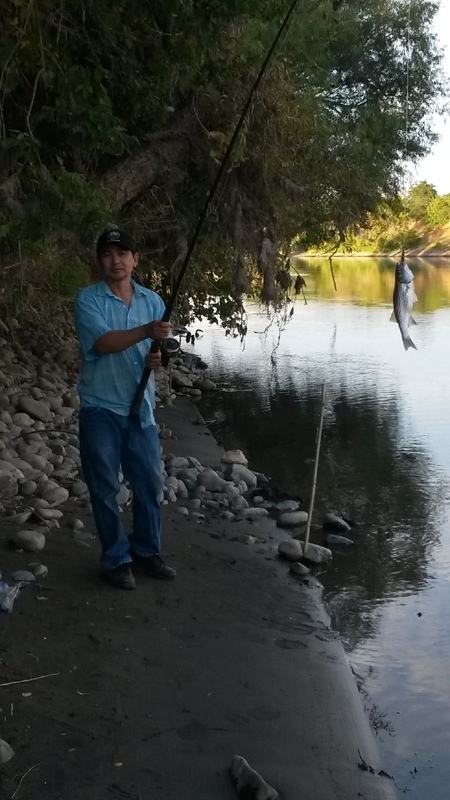 Saturday I went river fishing with Ol Pops and my nephew. My nephew doesn’t have the patience for fishing which really stinks because he has a hot hand and he doesn’t even know it! First blood was him with a 10 inch striper. 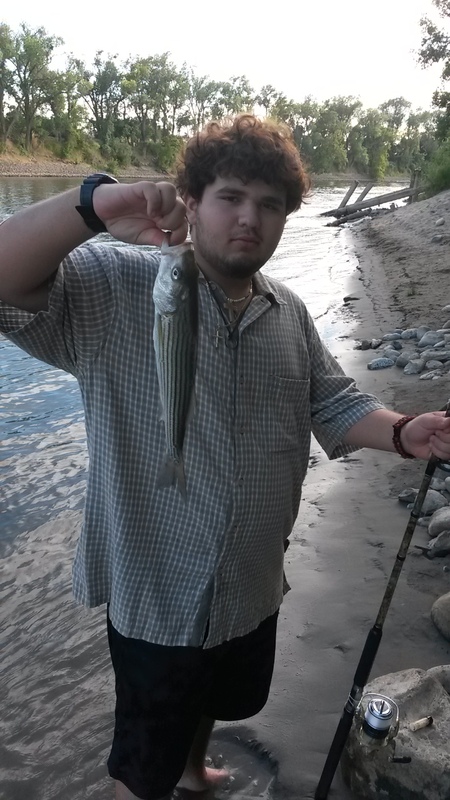 Second was me with another little striper and pops ended up catching one as well. 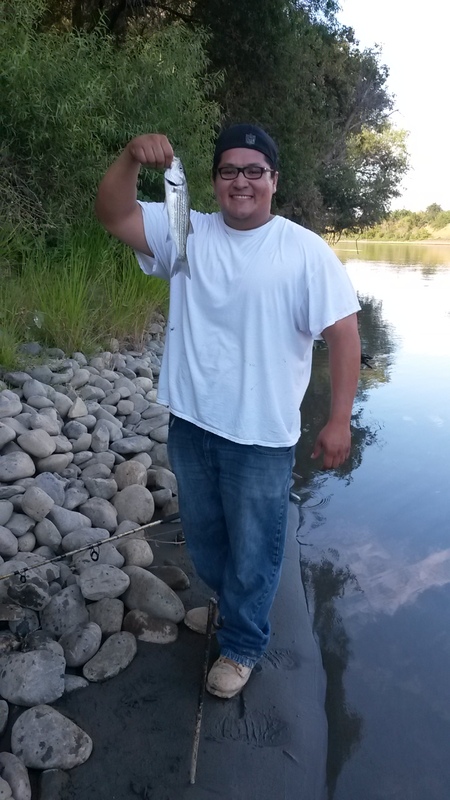 Biggest was a 16 incher that my nephew ended up catching on my rod while I went to net one up for pops…. And Pops’ fish ended up getting away! So none of us got skunked and my nephew caught the most and biggest fish. Well, that’s pretty much it for now. Hope summer is going well for my fellow bloggers. 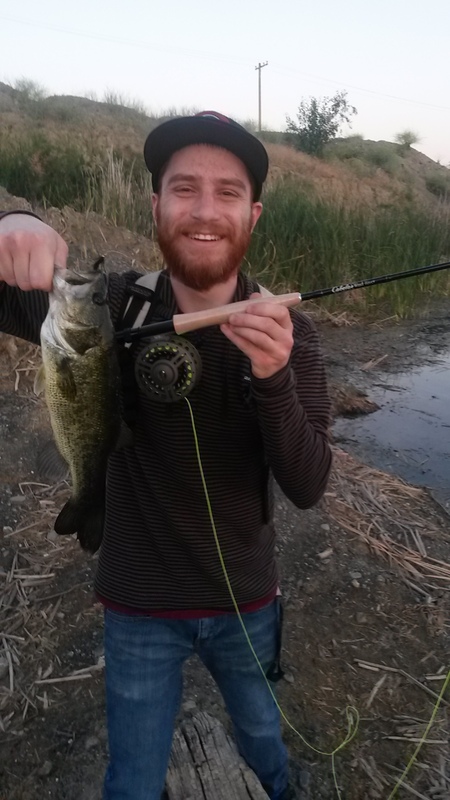 I met up with my buddy Luis this past weekend and decided to fish the bee hive which I haven’t fished at all this year. I went to the store and bought worms but as we drove up we realized that the entire road to the spot was closed for repair so we made our way back to my house. 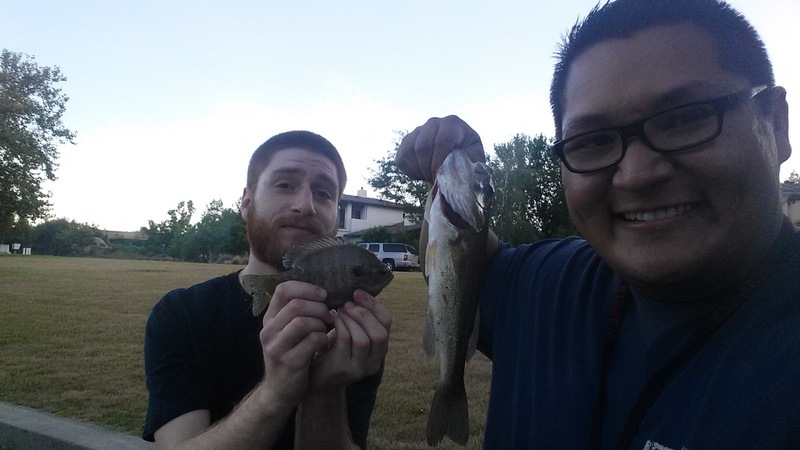 On my way back Jeremy Called and asked if I wanted to fish so we decided to get together. 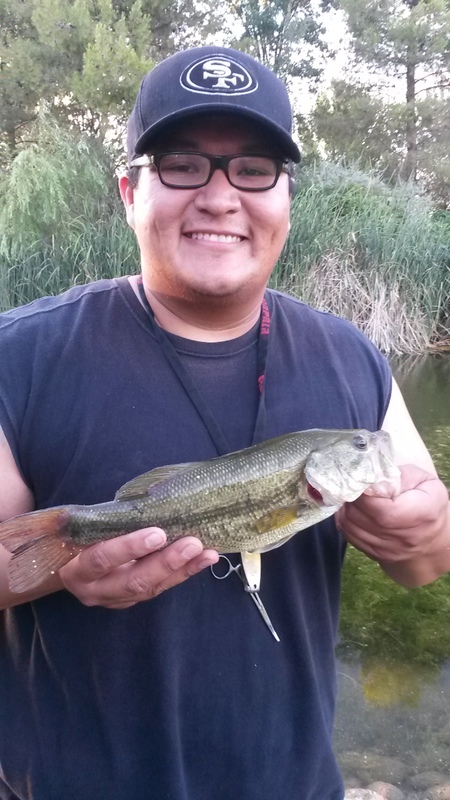 Luis ended up not feeling well and going home so we decided to go to Walters pond and give a try for bass. 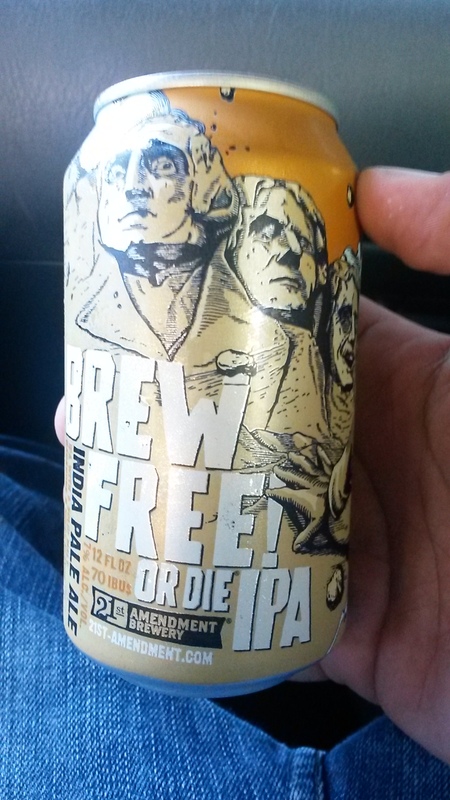 I had worms and bobbers with me and Jeremy brought some IPA’s along so we decided to have more of a chill fishing day. I rigged up my line with the ol worm and bobber while Jeremy went to work with a swim bait. Even though he drew first blood he was utterly intrigued by the bobber set up and was surprised when he first saw the bobber go under. 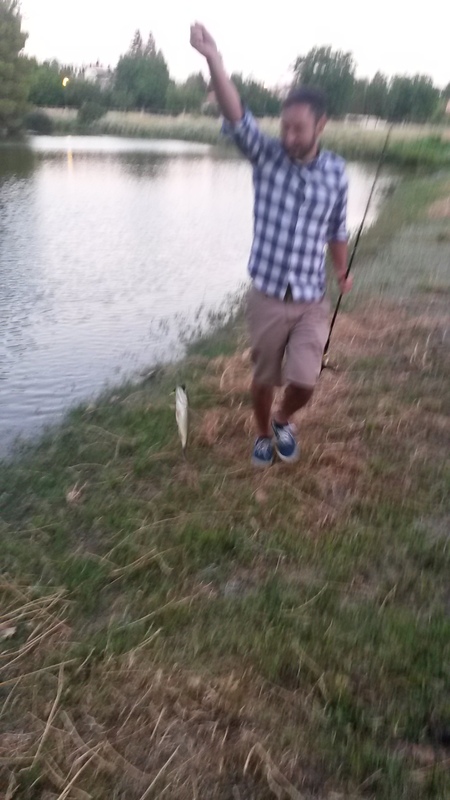 I reeled in and brought a small bass to hand and Jeremy immediately decided that he wanted to give it a try. What Jeremy didn’t know is that nothing goes better with an IPA and a stogie than a worm/ bobber set up! A little later Walter joined us and he too decided he wanted to fish the bobber rig. Eventually we were all fishing the worm and bobber waiting for fish to strike and eventually they would. At one point Walter and Jeremy both decided to switch presentations. 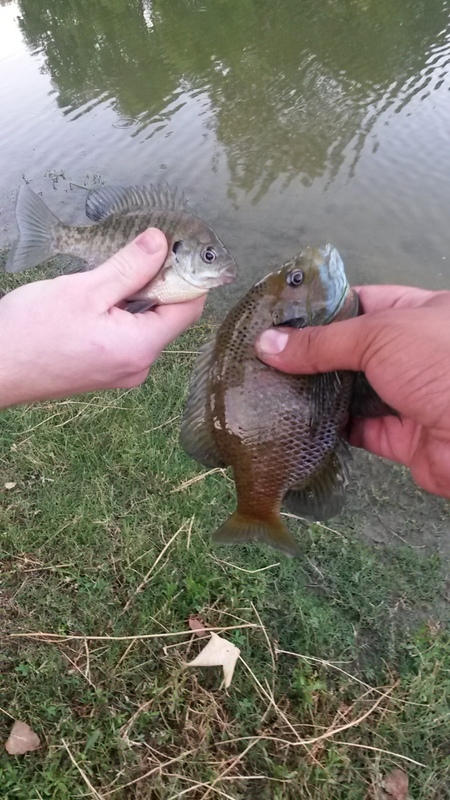 I continued with the bobber, cast to the shallows, and a bluegill messed with the worm and all of a sudden my bobber went under hard! 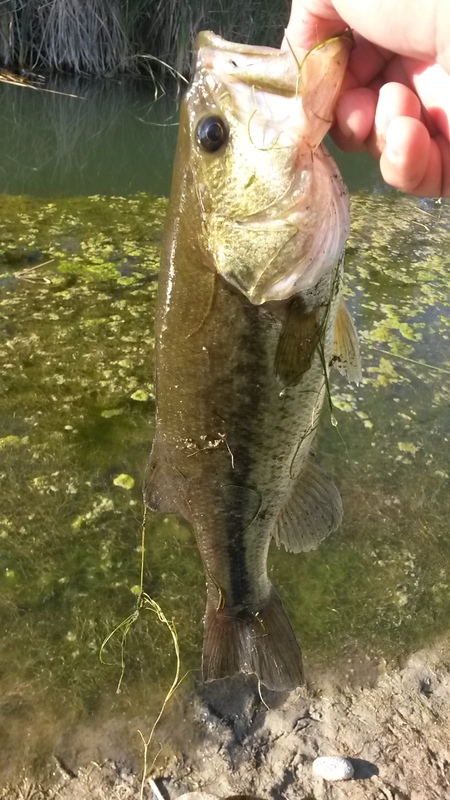 I set the hook and reeled in a FAT bass, which turned out to be the biggest of the day. For the rest of the day we continued to use the ol worm and bobber pulling in fish after fish. Relaxing and enjoying a warm summer day. It was dark and nearly 10 o clock by the time we decided to stop. 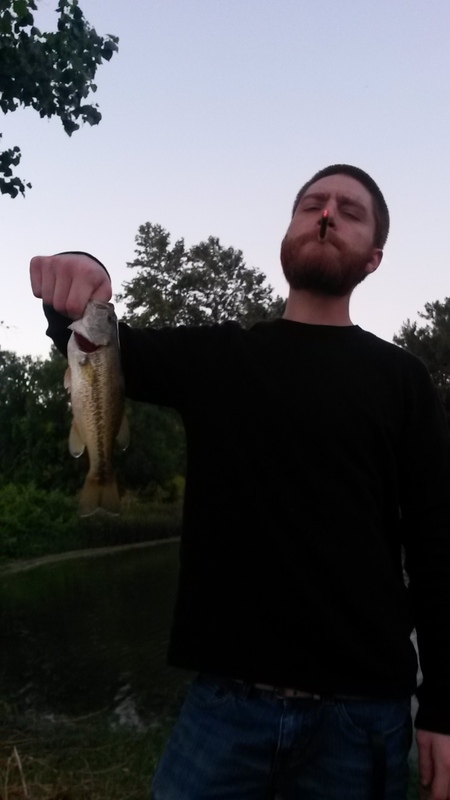 Nothing like a nice chill evening drinking IPA’s, smoking stogies, chilling with friends and slaying bluegill and bass on the ol worm and bobber! With this trip I am officially all caught up with fishing trips. I do have Fal and Spring totals to report but aside from that, I'm all set. Hope your summers are starting off with a bang! Once Again, in order to catch up, I will be doing this in bulk. 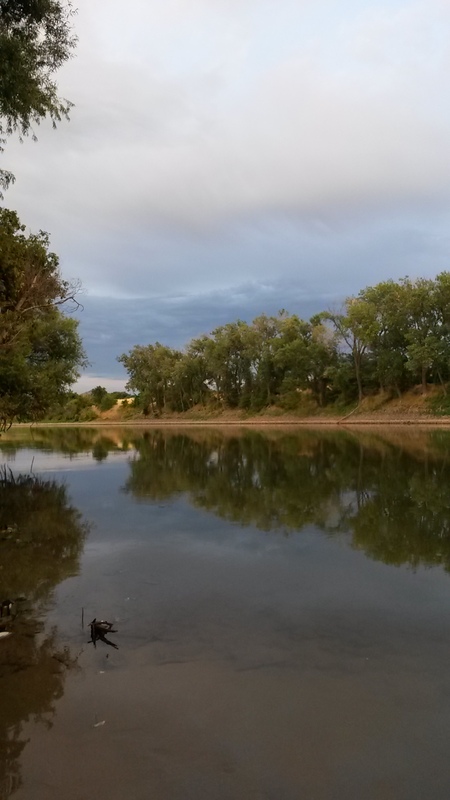 5/16/15 – Ol’ Pops finally picked up his license so we took our river rods out to the Sac. A year ago I was slaying them in this exact spot but this year it was considerably slower. Only two came to hand. One of them being 15 in. or so. My dad ended up catching a shaker as well. 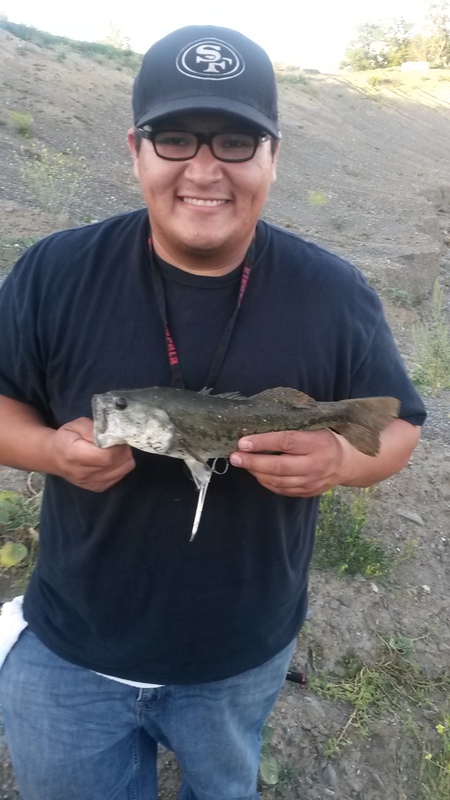 5/19/15 – We ended up going to check the pits to see how the fishing was. 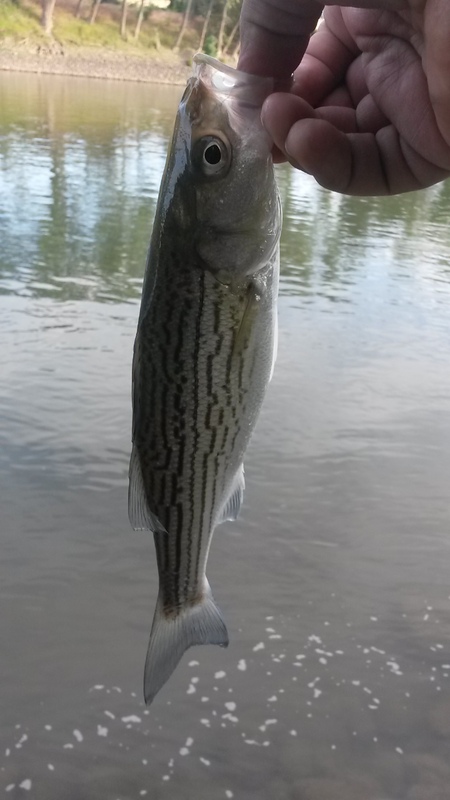 The water was indeed lower and I was able to land my first bass this year out of the pits. Although he was a little guy, he was proof that soon enough the spot will be ready for the crazy action we were having last year. Afterwards we went to Legendary pond and had another legendary day. 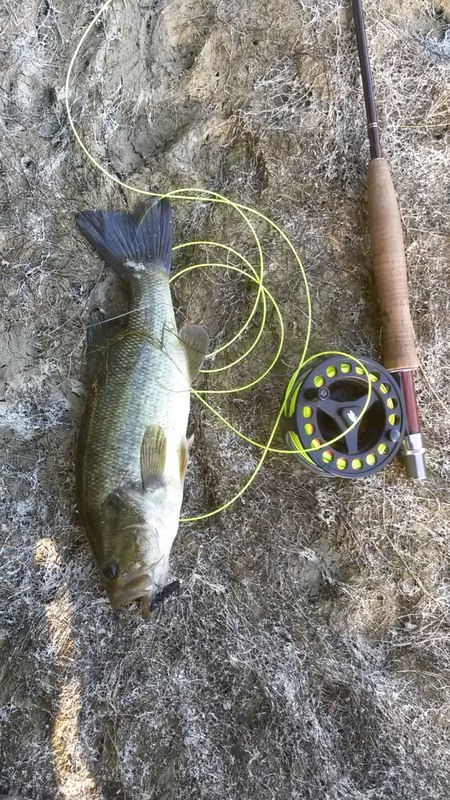 We used spinning and fly rods to yank a good number of bass out of there. In addition, Jeremy (along with some fine coaching from yours truly) was able to get into his first bass on the fly! I was pretty proud! 5/25/15 – Bored with the same spot and curious about what else was at Legendary pond, we decided to access another side of Legendary pond. So after a good walk down some hills we went to work on the south bank of Legendary pond. It turned out to be even more legendary that the opther side. 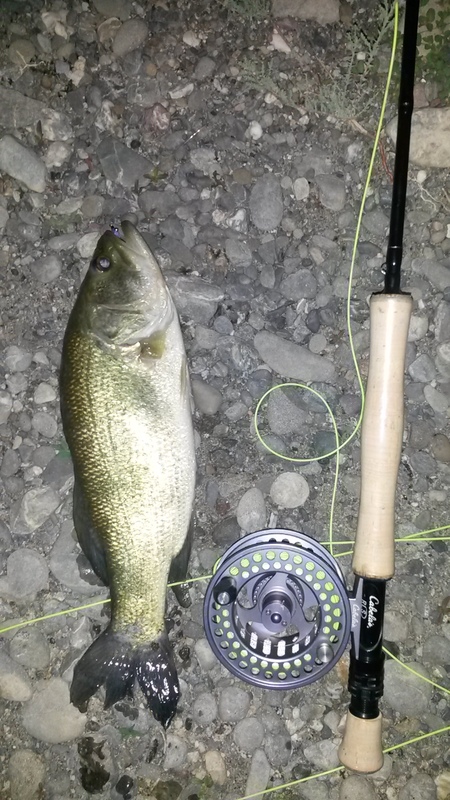 Watermelon and Chartreuse worms did the trick with the spinning rod and as it got darker, they weren’t touching anything but purple and white wooley buggers! 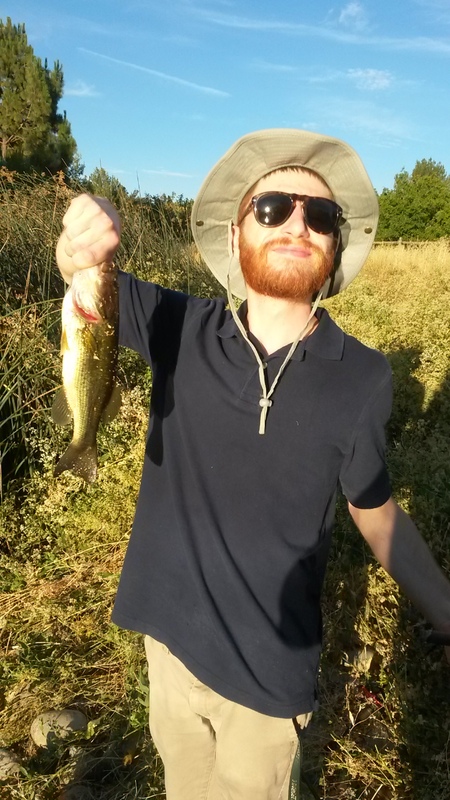 Needless to say I got some nice ones on the fly!In addition, here is a picture of one bass that I caught which was either deformed or something took a big bite out of him at a younger age! 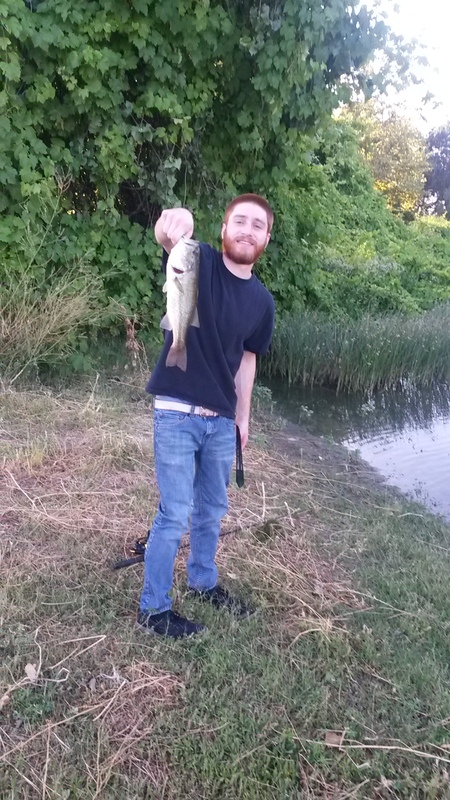 5/29/15 – I didn’t end up making it out to Ditch pond in March/April when the fishing is best but I made it out on this day and brought moises along. 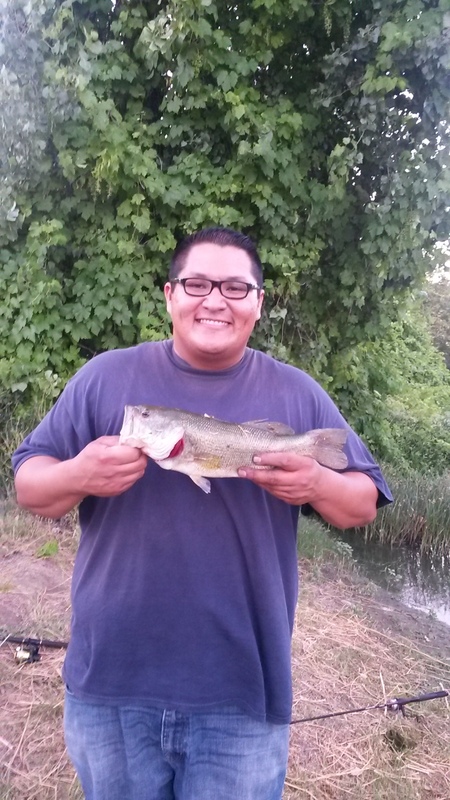 We have caught bass there before and Moises is only into bass fishing. He managed to get into a couple. Meanwhile nothing was biting on my minnows and that was a pity. In fact, most of them ended up dying. 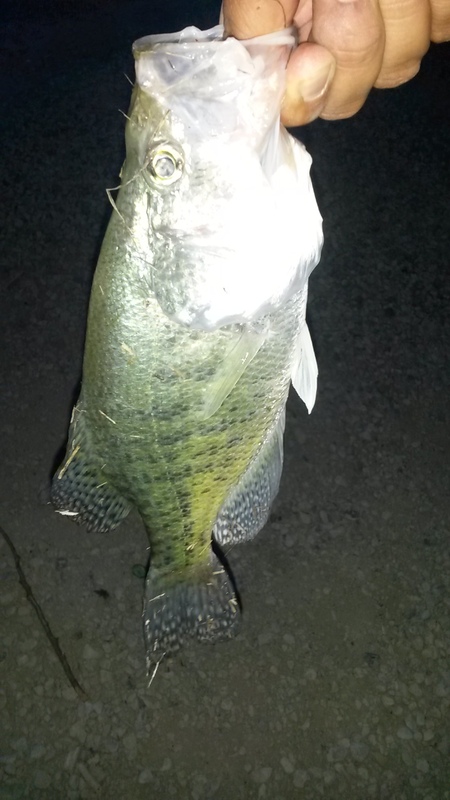 I did get into a small bass and as the night wore on I tossed a minnow over to a rocky bank and finally got into a nice size crappie. Bites were scarce after that. 6/2/15 – We hadn’t been to walter pond in a while so we paid it a visit. The moss is getting pretty thick on top in our regular spot so we decided to walk around the pond and explore some different areas. 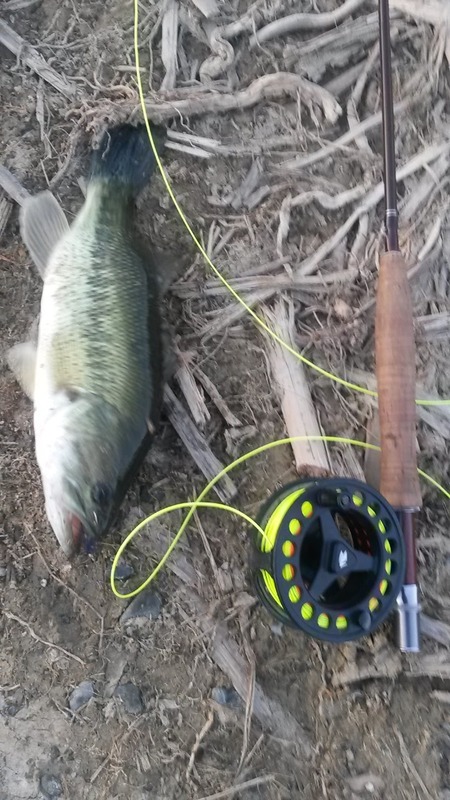 I did manage to hook up with a couple bigger bass that I couldn’t drag across the mats so they got away. Another spot had less mosss so I went to work there. 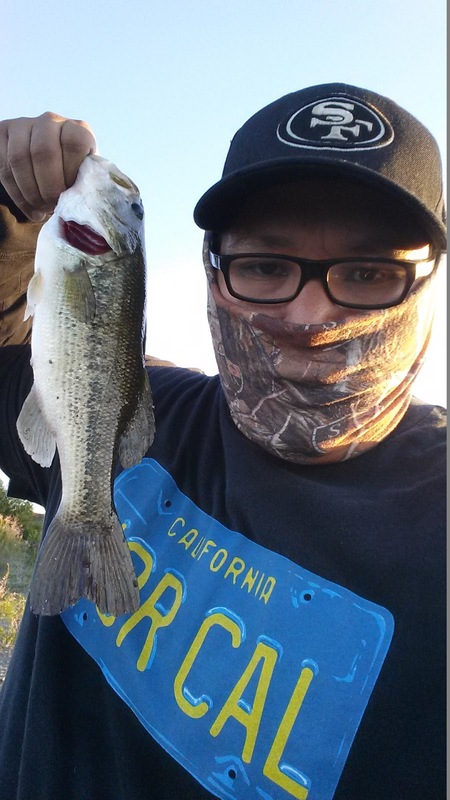 Once again, purple wooley buggers got the job done and I was able to get into 4 bass. 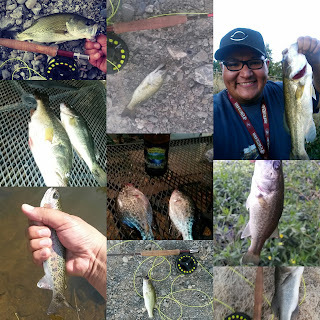 With this report I am all caught up but I have one trip from this weekend that I will report on soon and it was a fun one! Total Fish: 2 Striper + 1 Crappie + 48 Largemouth Bass = 51 Fish!